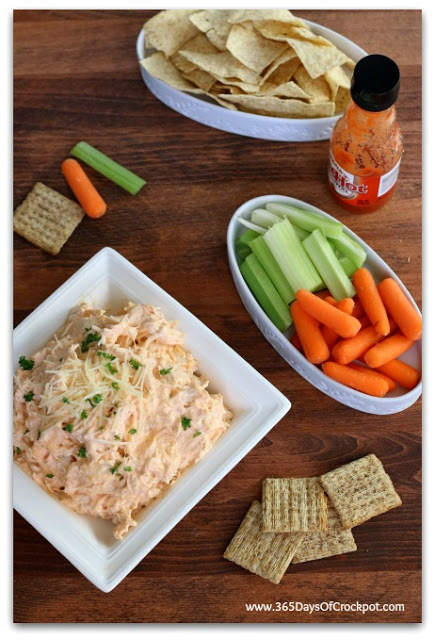 Instant Pot Buffalo Chicken Dip–A seriously addictive, 4-ingredient buffalo chicken dip made in your electric pressure cooker. A perfect party food! Okay, if you like the feeling of being totally out of control then this recipe is for you…because you won’t be able to stop eating this instant pot buffalo chicken. It is totally addictive. I am glad that I had my whole family here to eat it with me because I probably would have eaten the whole batch by myself. 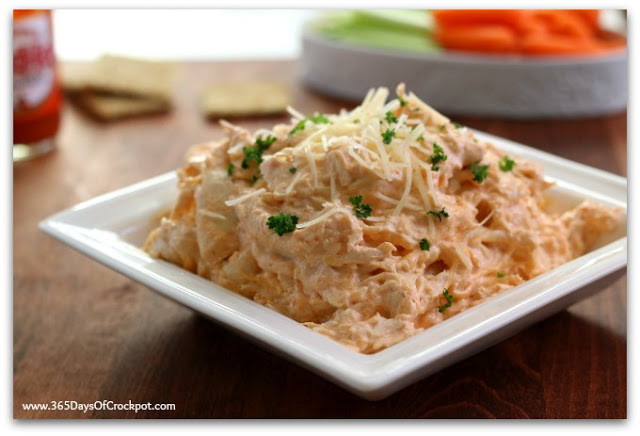 For Instant Pot Buffalo Chicken Dip I used my 6 quart Instant Pot Duo 60 7 in 1*. I also own the 6 quart Instant Pot IP-LUX60 V3 Programmable Electric Pressure Cooker. * They are both great pressure cookers! But I recommend the Duo. It has a yogurt making function but other than that they are fairly similar. The price difference between the two is about $20. 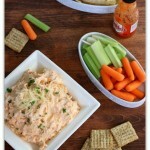 A seriously addictive, 3-ingredient buffalo chicken dip made in your electric pressure cooker. A perfect party food! Place chicken in bottom of Instant Pot. Add in the chicken broth. Cover and secure the lid. Make sure valve is set to sealing. Set the manual button (or pressure cook button) to 10 minutes. Let the pressure release naturally for at least 10 minutes and the move the valve to venting. Remove the lid. Remove the chicken and place it on a cutting board. Shred the chicken. Discard the juices inside the Instant Pot. Put shredded chicken back into the Instant Pot. Stir in the cream cheese and your desired amount of hot sauce. Turn the Instant Pot to the saute function and stir until the cream cheese is melted. Turn the Instant Pot to the warm setting. This will keep the dip warm until you’re ready to eat it. 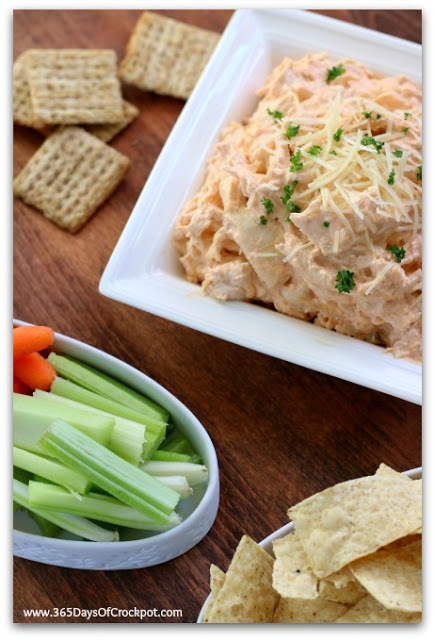 Serve dip with chips, crackers or veggies and enjoy!